Topeka is full of surprises. 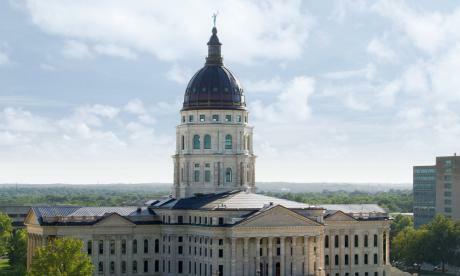 Visit Topeka can arrange full tours of the Capital City that can be catered to interests of the people attending, themes and more. 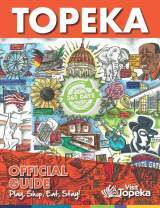 Check out our Past, Present and Future tour below, which represents where Topeka has been, where it is today and where Top City is heading. 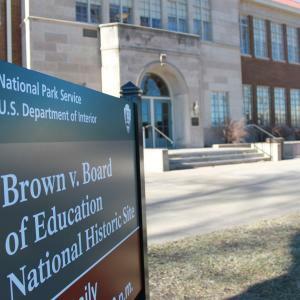 10 am – Visit Brown vs. Board of Education National Historic Site and Museum and gain an understanding of the role of this 1954 Supreme Court decision played in the Civil Rights Movement. 12 pm – Lunch with the Harvey Girls and tour at the Great Overland Station. Take a step back in time and let railroad heritage take over at this former Union Pacific Station. 2 pm - Drive to Aaron Douglas Mural and see a replica portion of the work that Aaron Douglas created. Douglas, a native Topekan, was commissioned to create a mural in New York City depicting black Africans as they were taken from their homeland and brought to the United States as slaves. 2:30 – Visit the Charles Curtis House, Charles Curtis was a native Topekan and the only Native American vice president. View his home and memorabilia from his political career. 4 pm – Tour the historic Ritchie House, Topeka’s oldest standing home. John and Mary Jane Ritchie traveled from Indiana to Topeka to start efforts to make Kansas an antislavery state. 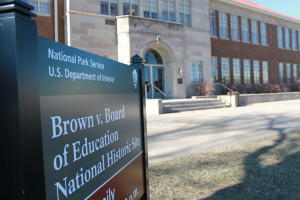 Their home served as an Underground Railroad location, one of 23 in Topeka. 6:30 pm – Dinner at the Blind Tiger, a local award-winning brewery and comfort food favorite among locals. 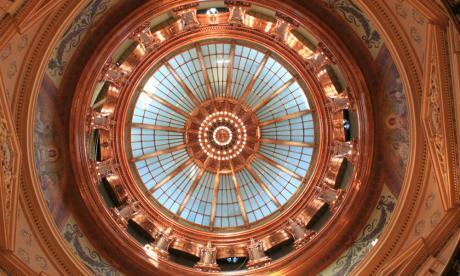 10 am – Tour the Kansas State Capitol Building. It took over 36 years to complete and is currently undergoing extensive renovations to equip the 19th Century building with 21st-century safety features, but don’t let that stop you! The building is still mostly accessible! 12 pm – Visit historic Topeka High School, a gothic style high school with the only working 18 Deagan chime system in a public high school. 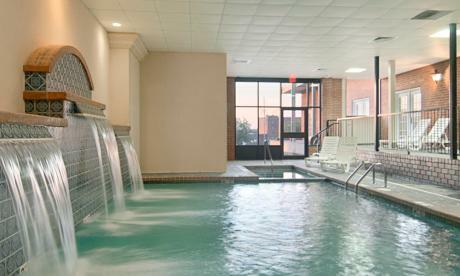 Topeka High is fully equipped with marble flooring, fireplaces and more! 1:30 pm– Tour of Cedar Crest, the Kansas Governor’s Home. Standing on a 244-acre estate overlooking the Kansas river, Cedar Crest is the home to many Kansas treasures such as art, murals and more. 3:00 pm– First Presbyterian Church – tour of Tiffany Windows, which were crafted by Lois Tiffany especially for the church. 4:30 pm – Tour of Ted Ensley Gardens at Lake Shawnee. View flowers any time of year at this majestic garden with creative landscaping and beautiful walking trails. 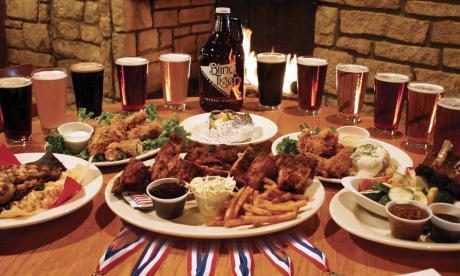 6:30 pm –Enjoy dinner at The Pennant in Downtown Topeka. 10 am – Enjoy breakfast at award-winning Hanover Pancake House and head for a walk along Kansas Avenue downtown. 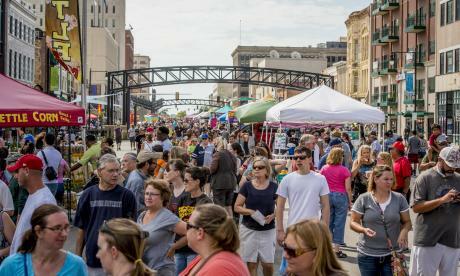 1:30 pm – Spend some time downtown at Prairie Glass, Cashmere Popcorn & Hazel Hill Chocolate Traditions. Create your own glass art, then walk down the block and see a candy making demonstration and enjoy some free samples of handmade chocolate treats! 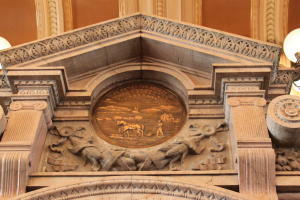 And check out history coming back to life at the Jayhawk State Theatre of Kansas and Constitution Hall. 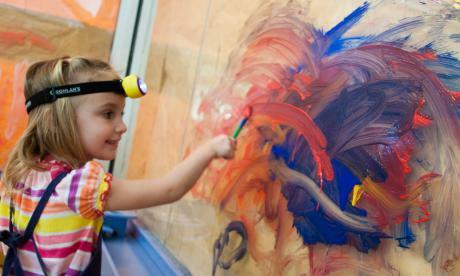 2:45 pm – Tour NOTO Arts District, an arts district that features antique shops, art galleries, dining and more. Arrange for a wine and cheese tasting in one of the venues! 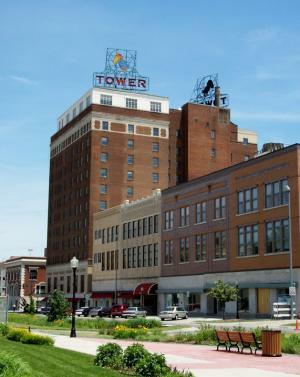 For more information about this tour, or an abundance of other tours Visit Topeka offers, contact Jessica Schenkel at Jessica@VisitTopeka.com or 785-234-1030. The toll-free line is 800-235-1030.